Wouldn't be nice to not just react and place yourself outside the situation? Especially during stressful situations. New research (cited here & below) reveals that in times of stress, talking to our selves in the third-person helps control emotions and enables our conductor-mind to manifest harmony (i.e., health) within our organ “orchestra” . Referring to one’s self in the third-person causes us to think about ourselves in the detached manner that we think about others. This creates a psychological distance between the mind and our personal experiences and as a consequence diffuses the influence of controlling emotions." Electroencephalograph (EEG) assessments of how people’s brains respond to disturbing photos show that their emotional brain centers decreased activity 1 second after they began to refer to themselves in the third-person. Participants in another study reflected on painful experiences from their past using first- and third-person language. Upon using third-person self-talk, their brains displayed significantly less activity in a region implicated in reflecting on painful emotional experiences. As I have personally experienced on several occasions, using third-person self-talk for immediately regulating one's emotions is profoundly more effective and efficient than conventional emotion-controlling methods that require considerable thought and effort. By removing emotions from controlling life strategies offers an opportunity to more effectively manage life stresses free from emotional bias. 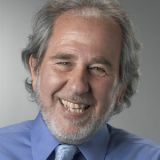 Bruce H. Lipton, PhD is an internationally recognized leader in bridging science and spirit. Stem cell biologist, bestselling author of The Biology of Belief and recipient of the 2009 Goi Peace Award, he has been a guest speaker on hundreds of TV and radio shows, as well as keynote presenter for national and international conferences. He has been a guest speaker on hundreds of TV and radio shows, as well as keynote presenter for national and international conferences. Wednesday, 17 April 2019 What Does Love Feel Like? Wednesday, 13 February 2019 What Drives this Technological Evolution?